Arcadia at its best! 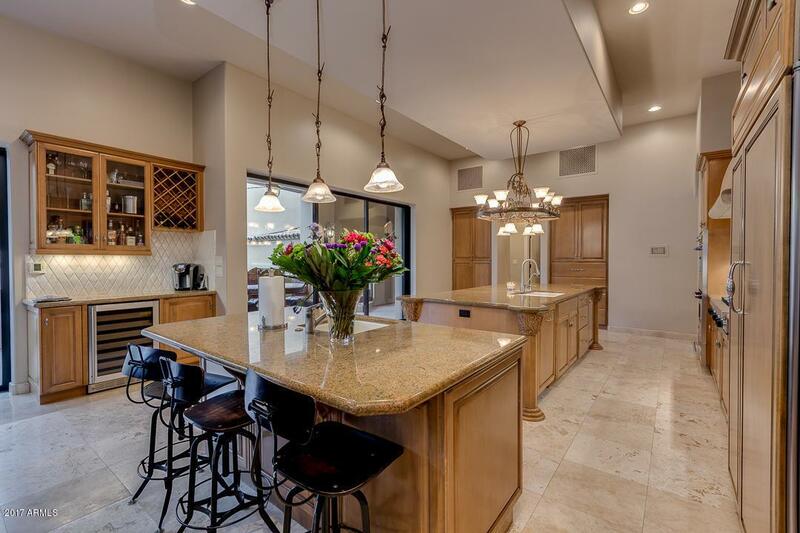 Located at the base of Camelback Mountain, this home has it all! 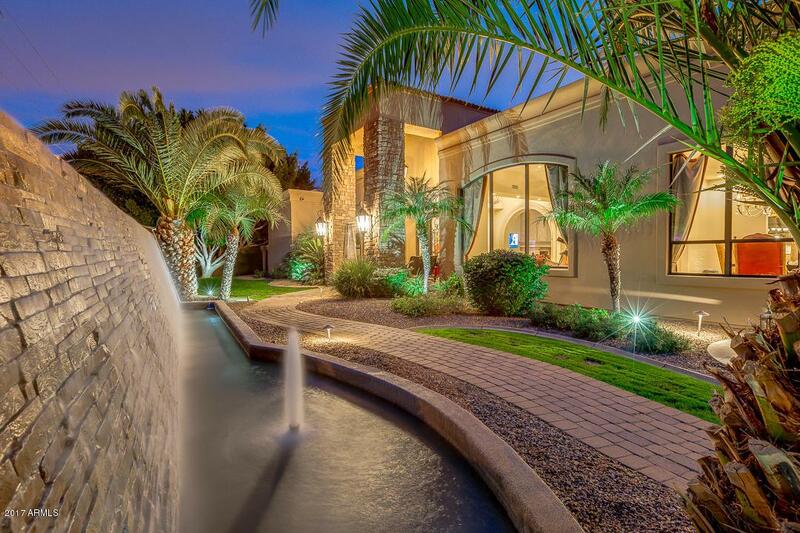 This custom home features a grand entry with a seven fountain water feature leading to the massive glass and iron front door! 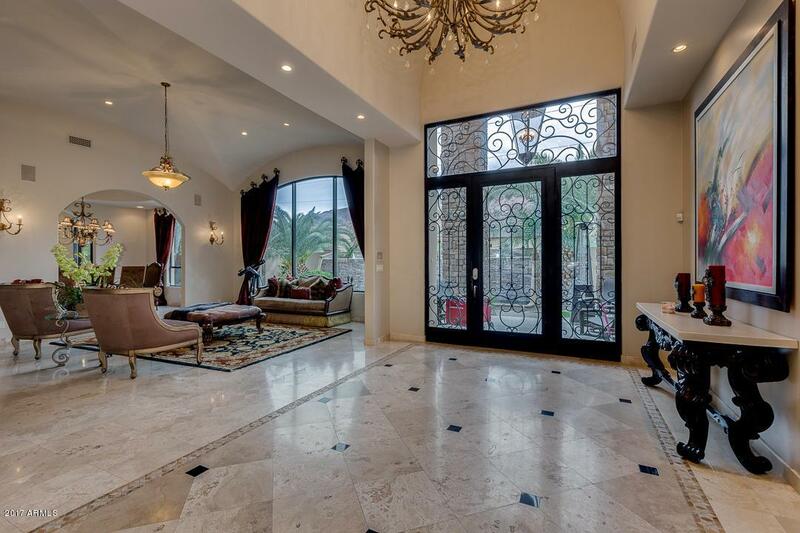 Enter into the grand great room with spacious family room that's open to the chef's kitchen! The enormous granite island is perfect for kids homework, family gatherings, and entertaining! The main level master suite is massive and expansive! Two additional spacious en-suite guest bedrooms are also on the main level. Downstairs embraces a picturesque entertainment room off the pool & spa area. The spectacular family and media room has easy access to the pool area, and a 2nd master suite or office is available. The charming guest suite is situated over the four car garage.